This week, Session 2 began with a new group of high schoolers. Samplarians outside the Mid-Ohio Workers Association office. Photo by Mike Hanck. Used with permission. Mid-Ohio Workers Association: The new Samplarians began their week with a visit to the Ohio State University neighborhood and the new office of MWA. They were put to work on their feet, going from house to house to raise awareness for an upcoming food drive. They delivered flyers, collected food (if anyone had any–they could also wait until the actual food drive), and helped to build relationships with the neighborhood. Dr. Tim VanMeter: This week’s class focused on ecological justice. Dr. VanMeter, from the Methodist Theological School of Ohio, introduced the Samplarians to the rich Christian tradition of caring for the environment and challenged them to prepare a project on ecological justice. Radical Inclusion: One of the many challenges that the Samplarians will face this session is working with adults with physical and mental disabilities–this is well outside the comfort zones of most high school youth! In order to prepare them for this challenge, Vicar Dan Forehand, TLS student and intern at Lord of Life Lutheran Church, who has a background in working with special-needs adults, gave a presentation on radical inclusion. He talked about the gifts and worth of all people, emphasizing that all are children of God, and helped the Samplarians to be more comfortable working with all kinds of people. Shepherd’s Corner: The Samplarians in this session also visited Shepherd’s Corner to learn more about environmental justice and to volunteer caring for and maintaining the farm. This time, the Samplarians helped to mulch new trails, weed the garden, and sort seeds. Fernando Amigo Llama kept watch over the sheep as usual, but there was no stall mucking necessary this time around–whew! 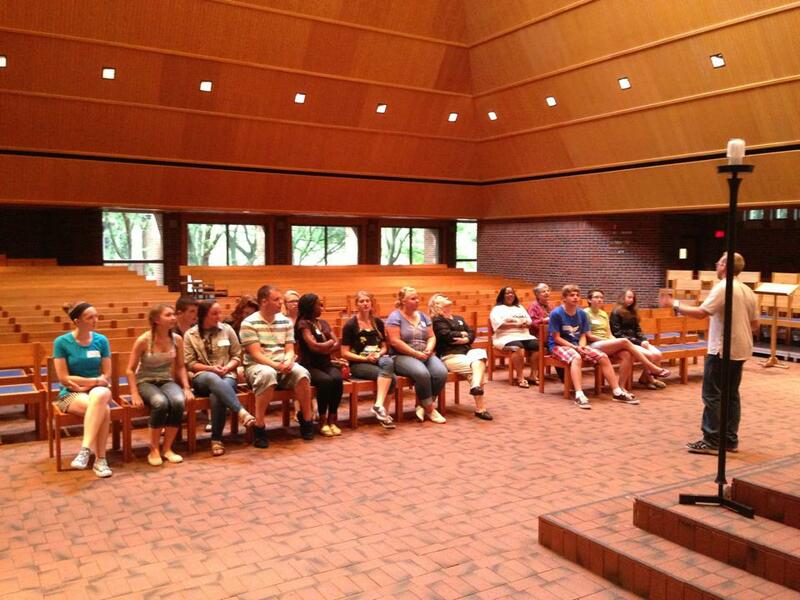 Interfaith Dialogue at Trinity Lutheran Seminary. Photo by Mike Hanck. Used with permission. Interfaith Dialogue: By far, the most important aspect of this week was the Interfaith Dialogue. The Samplarians came together with Jewish youth and adults to learn about each other, but more importantly, to form relationships (no Muslim youth were able to participate this year because the Dialogue started on the first day of Ramadan). On the first night, the Samplarians visited Torat Emet, the Orthodox synagogue down the street from the seminary. They discussed religion, their ideas about God, and learned about Jewish Sabbath worship. On the second night, the participants came to the seminary to talk about race, gender, and religion, and to learn about Christian worship. Relationships formed quickly, and throughout the week, the Samplarians and Jewish youth gathered again on their own for service and meals. Summit’s Trace: Following on Dan Forehand’s presentation on radical inclusion, the Samplarians headed to Summit’s Trace, an assisted living and nursing home. They spent the morning helping the residents with crafts, playing games, painting nails, and engaging in Bible study. The Samplarians discovered that there was nothing to fear at a nursing home, but plenty to enjoy! Mid-Ohio Food Bank: This time around, the Samplarians were joined by their new Jewish friends at the Mid-Ohio Food Bank. They worked with two other groups to pack boxes of supplemental food for senior citizens. Normally, a three hour shift will result in 600-800 boxes of food being packed. The Samplarians and their fellow volunteers, however, went into overdrive and packed a whopping 1109 boxes! Deaconess Community: Christa Anderson of the ELCA’s Deaconess community came to talk with the Samplarians about this small, little-known roster of Word and Service. She explained what a Deaconess is, how they are different from Pastors, Diaconal Ministers, and Associates in Ministry, and how she felt and answered the call to this ministry. She shared stories of service and relationships (and a few tense situations along the way! ), and encouraged the Samplarians to keep their hearts and minds open to all ministries and vocations. Camp Friendship: Again, the Samplarians experienced working with adults with special needs. At Peace Lutheran Church, Camp Friendship takes special needs adults for a week and cares for them, allowing their caretakers much needed rest and giving these adults a week of fun and Christian community. The Samplarians helped the camp counselors and the campers with crafts, music, and lunch, and made some new friends along the way! Twelfth Night at Schiller Park. Photo by Mike Hanck. Used with permission. Clippers Night: After a delicious Italian dinner at Florentine’s, the Samplarians headed to Huntington Park for a relaxing evening with baseball. This year, the Samplarians were 2 for 2–both groups attended games where the Clippers were victorious! Though there were no fireworks this time, the night was still well worth it. Shakespeare in the Park: It was time to get some cultural experiences in, and one such experience happens every summer at Schiller Park in German Village. 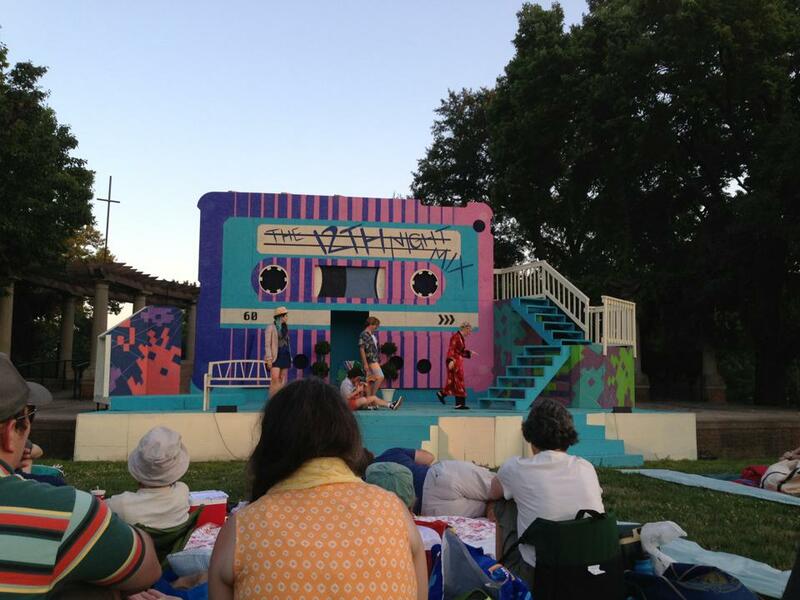 This month, the Samplarians were treated to a production of Twelfth Night “updated” to the 1980s. The production was skillfully done, and comedy flowed freely through the park that night. It was a great way to end the first week of Sampler Session 2. 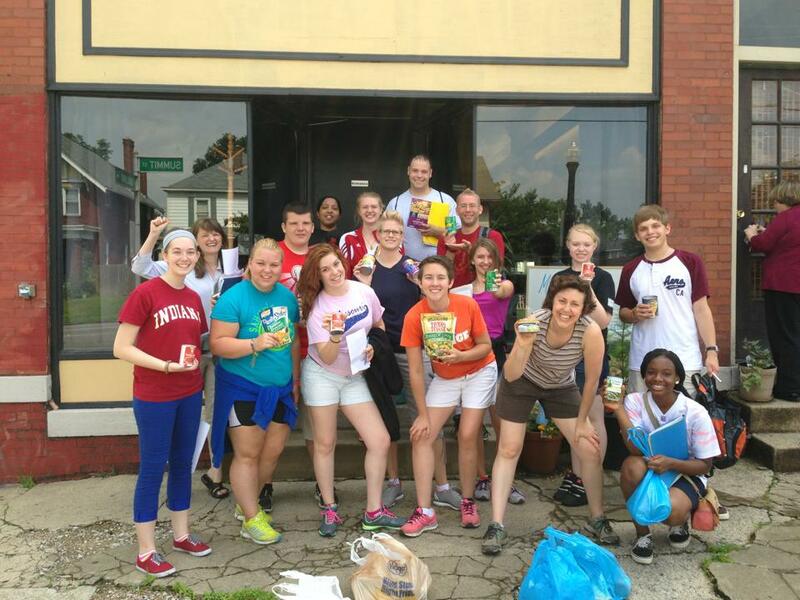 Posted on 16 July 2013 16 July 2013 by Pastor KenPosted in Seminary LifeTagged Christianity, discernment, ELCA, Evangelical Lutheran Church in America, Interfaith, Mid-Ohio Food Bank, Mid-Ohio Workers Association, shepherd's corner, summer seminary sampler, Trinity Lutheran Seminary.